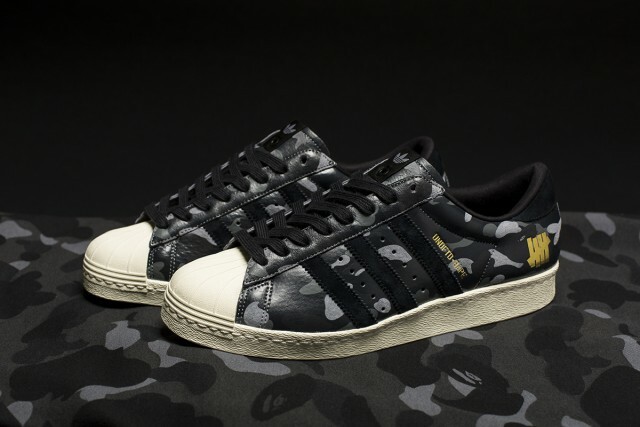 Brands Bape and Undefeated return for another collaboration with the adidas ‘Consortium’ series, as they bring about another eye-catching look to the iconic Superstar silhouette. 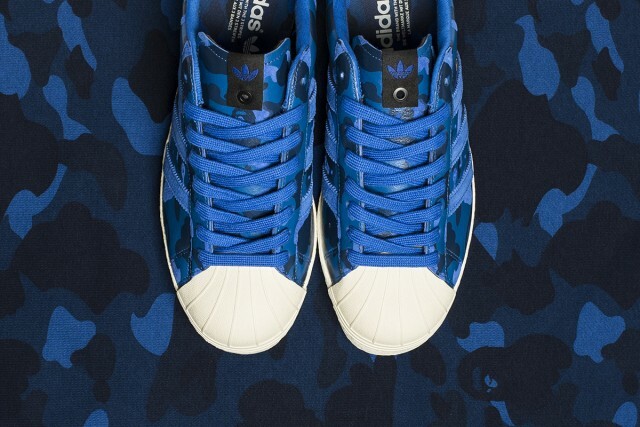 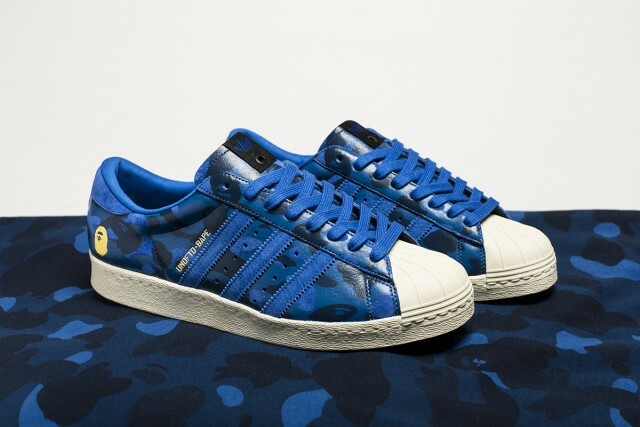 This new pack includes two pairs boasting Bape’s signature camo print available in choices of either Blue or Black. 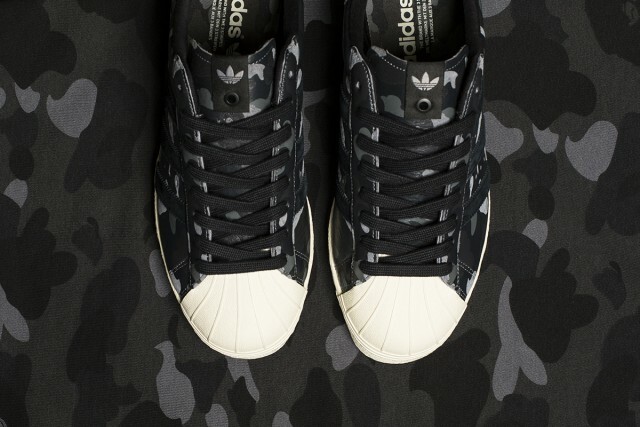 A slight tonal effect is seen as matching suede accents appear on the heel and stripe branding. 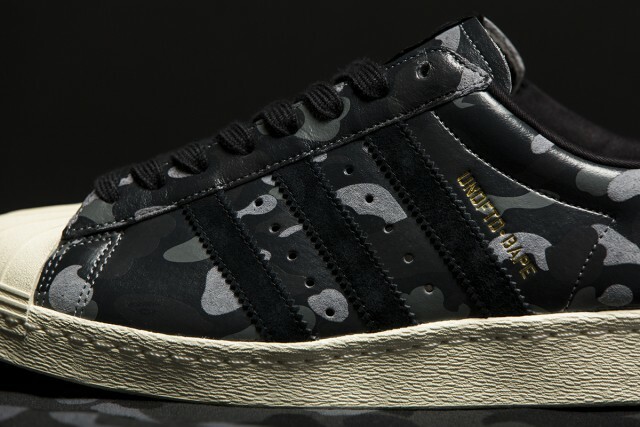 Rounding it all out is an off-white sole unit and toe box. 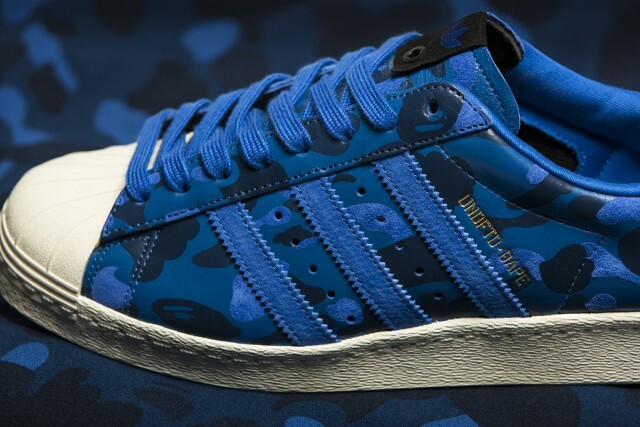 Going for $130 USD each, the pack will launch October 10, 2015 at select retailers.